Get started on organizing your small bathroom today. It doesn’t take a lot of work, just some ingenuity. 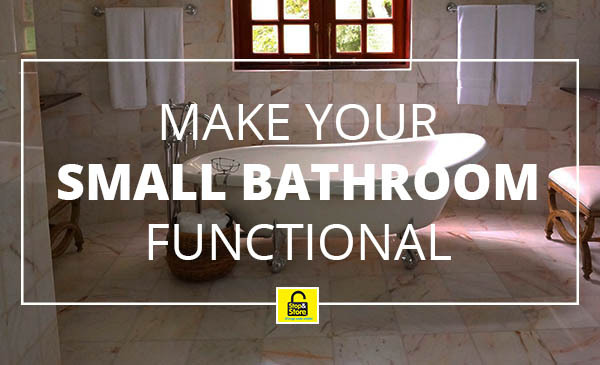 Stop and Store Victoria has some great, quick tips, to help you conquer your small bathroom. Just because it’s small doesn’t mean it can’t be functional. Use wall racks to create vertical space inside your bathroom. This includes adding a rack to your shower head as well. You can pick up bathroom racks at your local home store, or online as well. Using the back of your bathroom door will do two things, save space, and hide items. Shoe racks are great to hang from the back of the door as they provide a ton of extra storage space. Towels take up a lot of space. If it’s just you using the bathroom try to have only one towel rack. Relocate the other towels to behind the door, preferably inside your new shoe rack. Nail clippers, scissors, bobby pins etc. All metal things can be stored away on magnet strips. Place one on the wall and never lose anything metal again. This frees up space inside your drawers as well. Do you really need all the items in your bathroom? Try to minimize the clutter by throwing away or storing some unnecessary items. The best way to make space is to have less. Remodeling your bathroom might be the last resort, but if it’s necessary then go ahead. Sometimes no matter what you do, your bathroom just won’t work for you. Time for a big change. Any fabrics inside your washroom like towels and washcloths take up a lot less space when rolled. Try rolling them and placing them under the sink to save more space. If your drawers are a disaster zone, try getting some drawer organizers. These plastic lifesavers will help you keep your drawer contents organized and separated. Specifically baskets over the toilet. With a few hooks, you can hang some nice baskets above the toilet. Store anything extra inside these, also great for your rolled towels. Adding a mirror to your small bathroom will help create the illusion of a bigger space. A known trick to many interior designers, it will make a world of difference. 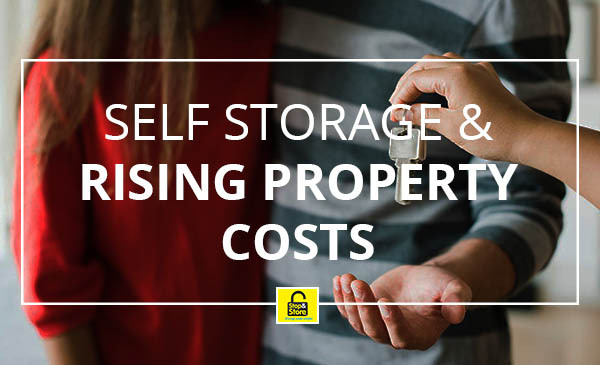 Rising Property Costs And How Storage Companies Can Help!